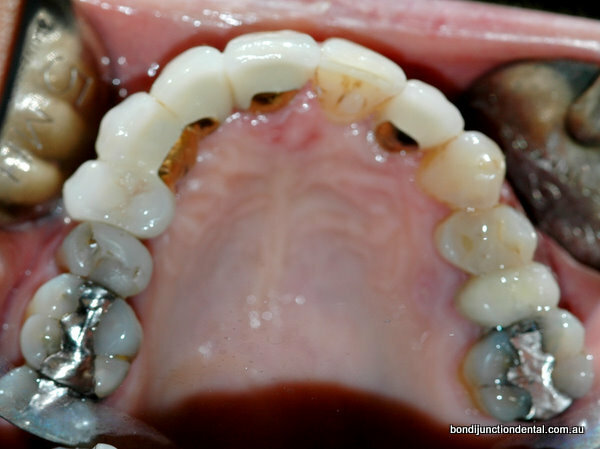 Individual crowns and bridgework placed onto implants are often cemented onto the abutments using a semi permanent cement to allow the option to remove the crowns for maintenance in the future. May dislodge and have to be re-cement with a permanent cement. May not be easily removed if the crown or bridge needs to be adjusted or removed for maintenance. May have higher laboratory fees. Oscar was left with only three functioning front teeth to support his upper denture. The three remaining teeth were insufficient to hold his denture in place and his dentures were very unstable. Oscar’s options were to either remove his remaining teeth and make a full upper denture or consider implants. Oscar did not want to wear a full upper denture and wished to keep his three remaining front teeth. Five missing teeth were restored with four implant fixtures in the upper left side supporting five porcelain veneered cement on crowns. Three missing teeth were restored using two implant fixtures in the premolar region supporting three porcelain cement on veneered crowns. Simon Simon had no back teeth in his lower right molar region. The premolar and canine teeth were too weak to support a conventional bridge. 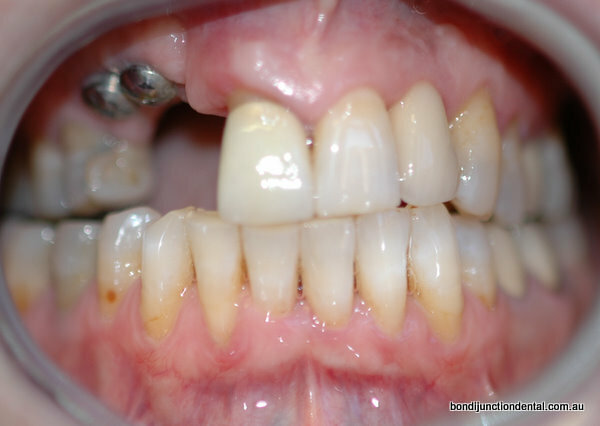 A decision was made to remove these teeth and restore all missing teeth with implants. Two implants were placed in the lower premolar and canine positions and one implant was placed further back in the second molar position. A total of four missing teeth were restored using three implant fixtures supporting four porcelain veneered cement on crowns with a pontic (false crown) bridging the missing teeth.